The Centre for Contemporary Art Groningen organised the exhibition ’10 in het groen twintig onder dak’, wich means something like ten in the green twenty under a roof. Part of the exhibition was a post academic scetch assignment ,10 of the twenty under the roof, wich PIEK! joined. The assignment was to design an idea for ‘Het Noorderplantsoen’ wich is a park in the middle of the city. PIEK! 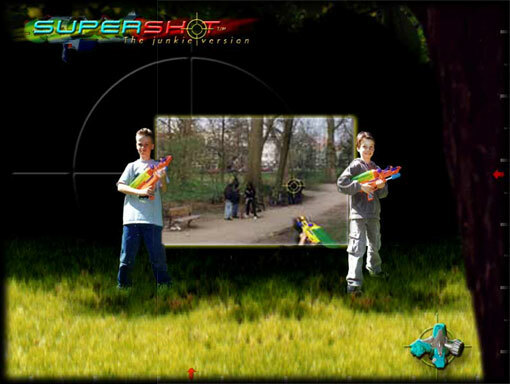 created a game, SUPERSHOT. 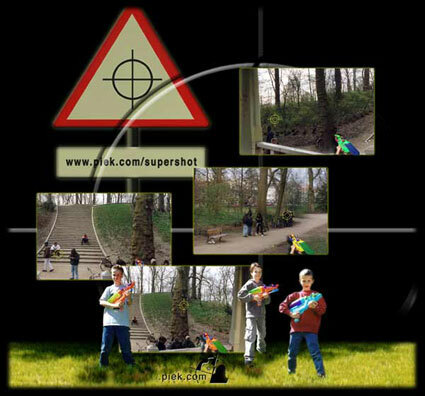 SUPERSHOT is a computergame for the internet/Noorderplantsoen. 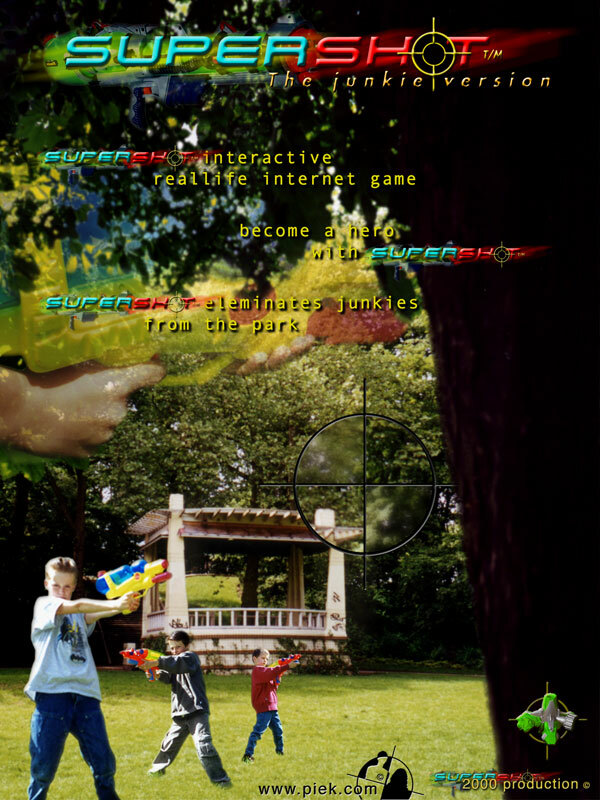 You play it from behind your computer but it has directly consequences for a certain group users of the park: the junkies. The goal of the game is to chase away the junkies from their hangout place, the music dome in the centre of the park. In the park in the music dome is a computer-controlled camera with a waterhose hanging under it. The user of the game sees the images of the camera in a ‘Doom, Unreal’ kind of way and can use the waterhose as a gun. Every time you chase away a junkie you’ll get a 100 points. The idea of the game is to bring the drugs problems under attention in a itchy way, in a form that lot’s of computergames have.